Wherever possible, keep the decor as natural as you can. When it comes to furniture and fabrics, organic colors and finishes will work the best. 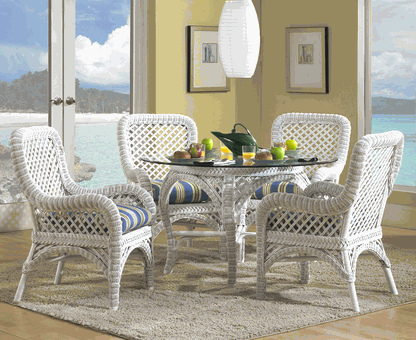 Using wooden, bamboo, rattan and cane furniture will reflect the beauty of nature in your beach home. Opt for jute or sea grass matting and any other textured, natural material that you can think of. Usually these are quite cost-effective and will also help to create an easygoing, coastal ambiance in your home in Puerto Morelos. So you think white is boring? Well, think again. 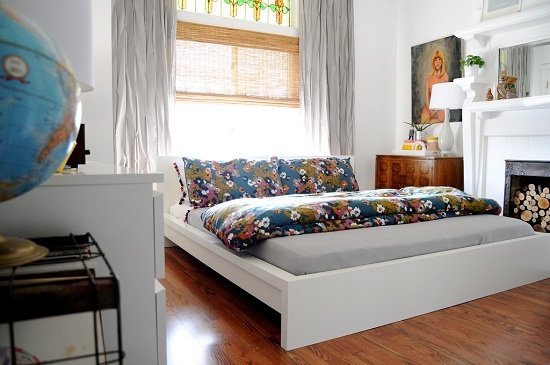 Pure, pristine and stylish, white can work wonders in glamorizing your vacation home. White paint on the walls, ceiling, furniture and even on the floors not only brightens up the area but also creates the illusion of a larger space and puts the spotlight on everything around it. Plus, the color white allows light to bounce off freely from the surfaces, thereby creating a light and airy feel in the house. Whatever your décor theme is, classic, contemporary or something in between, white just fits in perfectly. Tip: White chairs and sofas look fabulous no doubt but are slightly high-maintenance so please ensure that you invest in ones those that can be easily unzipped and washed. Crisp whites combined with spurts of bright colors create that perfect setting for a beach home. Puerto Morelos is in Mexico which known for its vibrant and colorful culture. These colors can be used in home decor. Choose your color scheme with references to the ocean – blues, greens, and turquoise or use an unexpected splash of a vibrant shade of bright aqua and see your space come alive! Dark woods also work well as a contrast to white. Glass vases in pretty shades of blues and greens look fantastic when paired against crisp white walls. You can also add a dash of color through paintings or pictures of the sea. Throw in some pillows, cushions and rugs in tinges like a bright orange to represent the striking shades of a sunset. Build a fabulous deck overlooking the beach; purchase some great outdoors furniture, like a hammock or an extra-deep porch swing or anything else that you fancy. Now kick back and enjoy the splendid view with a glass of wine, read a book or simply stretch out for a quick nap! 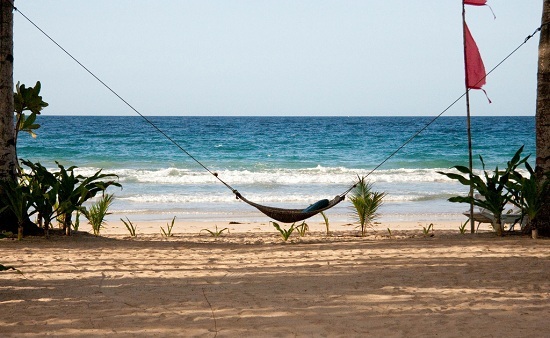 It just does not get more cozy and beachy than that! There are endless ways in which you can accessorize your beach home using the treasures from the sea and nature! Use sea grass mats, hurricane lamps, flowy see-through curtains or bamboo blinds for that laid-back beach vibe. Add wooden textures like a teak coffee table. Use wicker lounge chairs surrounded by lush plants. Woven accessories, due to their organic textures, are also ideal pieces of décor for your beach home. You could also use your creativity to come up with fabulous ideas to beautify your beach home. For instance, pep up a dull mirror simply by sticking some dazzling oyster shells all along its borders. This same idea could also be used for large photo frames. Create a pretty garland by using seashells, starfish, twine and any other seaside treasure that you fancy and use it to adorn a window. Seashells and corals are beautiful natural treasures and are the ideal add-ons for the coffee table and also for adorning your bathrooms and mantels. Remember, be innovative, but do not go overboard with accessorizing. Beach houses are all about relaxation and fun, so you should ensure that the ambiance is light and upbeat. Go ahead and bring in some surprising element in your beach home that is inspired by the sun, sand and sea. It could be a surfboard, some classic oars or an enchanting compilation of treasures from the ocean.